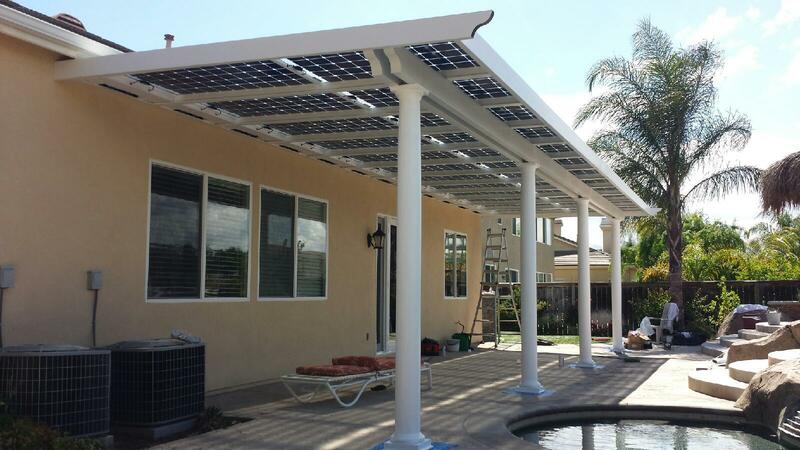 Our Services - Canopy Concepts, Inc.
We are very happy to introduce the newest design in residential solar power. Frequently we get calls from homeowners who want solar power but cannot use their roof for the solar panels for a variety of reasons. We also get many calls for a solid patio cover that will provide protection from rain and environmental conditions but will not block the sunlight. Usually a patio cover covers doorways and windows and reduces the amount of light coming into the house. Our new Sun Power Patio Cover is the solution. 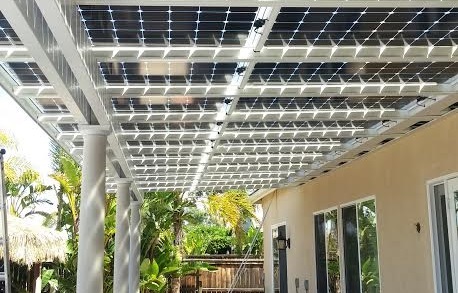 As a solar power producer the Sun Power Patio Cover can provide ample wattage. It just depends on how much space you have for the cover. 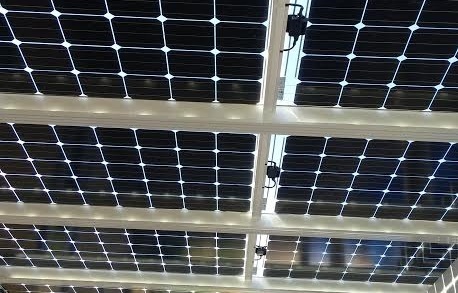 By using Bifacial solar modules, electric power is produced not only from the sun shining on top of the cover but also by sun reflected off the surface below. As a patio cover the Sun Power Patio Cover gives protection from the elements but also allows light to come through. The best of both worlds! For more information just call: 866.538.1010 or fill out our Contact Us form.